This chapter provides an overview of select literature on servitization, introduces and defines the concept of servitization, and shows why servitization is becoming a required strategy for manufacturing firms. 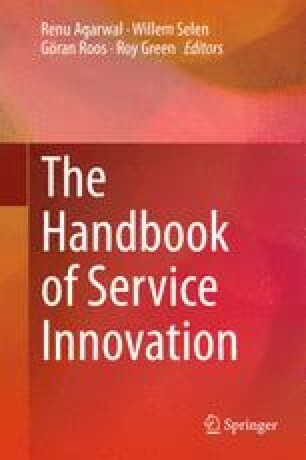 It discusses the key aspects of servitization as innovation along several different dimensions. The chapter also touches upon what type of services manufacturing firms can offer, as well as the key journeys towards a fully servitized manufacturing firm, and key challenges on these journeys. Servitization is increasing rapidly, and is likely to continue to do so since both the defensive and offensive drivers of servitization are increasing in strength. The literature also points out that the transformation process into a servitized manufacturing firm is both a complex and complicated one, and failure rates are not insignificant. On the positive side, opportunities abound to offer services throughout the value chain, but care has to be taken to ensure that the manufacturing firms’ business model is modified to ensure the implemented service activities are profitable. This chapter is a selection out of a complete 200 page literature review of the field done by the author.